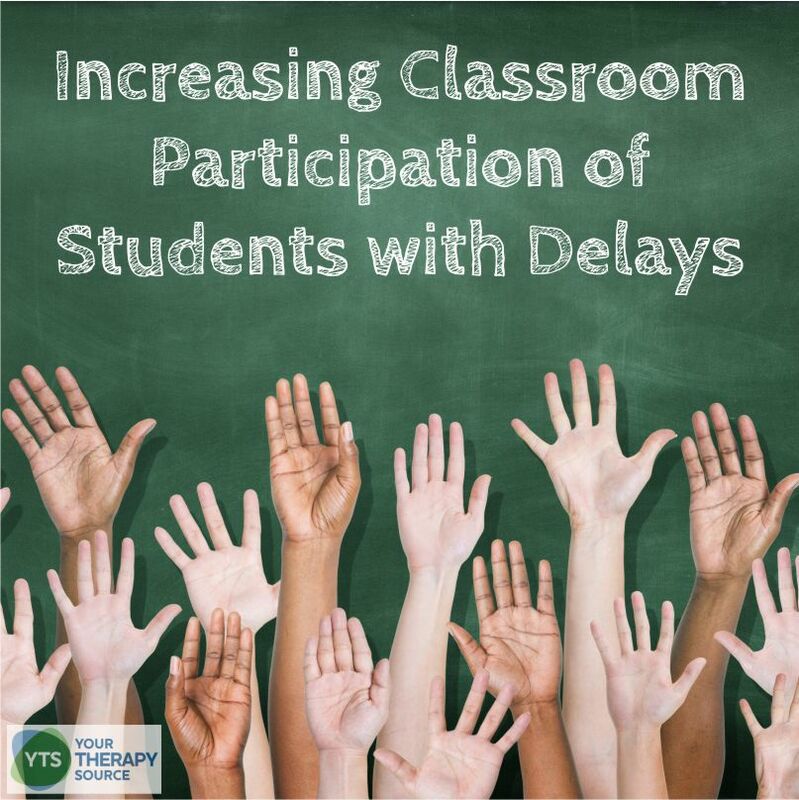 Recent research was published by the Canadian Journal of Occupational Therapy on increasing classroom participation of students with delays. Previous research has indicated that students with intellectual and developmental disabilities have been found to participate less in school-based activities. 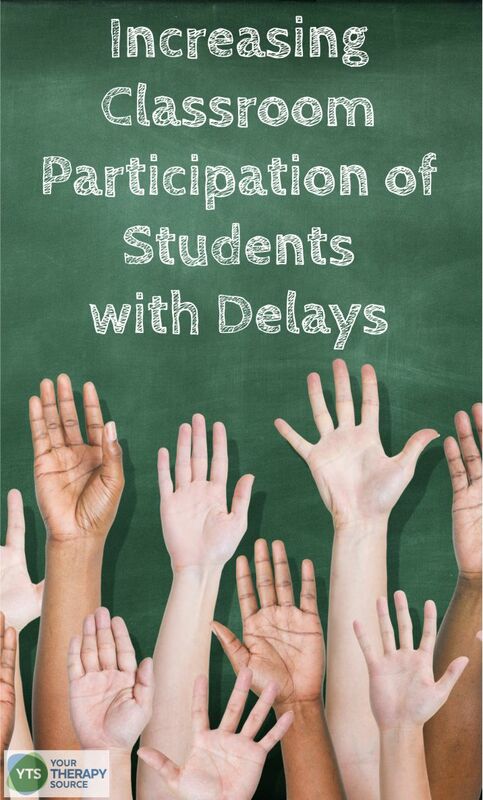 The purpose of the current study was to compare the effectiveness of combined in-services and collaborative consultations to improve classroom participation for students with delays (intellectual and developmental disabilities). The study included pretesting, the intervention, and post-testing. A multidisciplinary team was formed for the collaborative consultation model that included one occupational therapist and 17 teachers as well as 35 students. The in-service program included 20 teachers and 34 students. Students were 8 to 20 years old. Both groups started out with the teachers receiving a 3 hour in-service training by the Occupational Therapist. The collaborative consultation model also included 20 weeks of meetings between the Occupational Therapist and each teacher to establish action plans together to enhance participation of the students and to execute these activities with data collection. Throughout the joint meetings, the Occupational Therapist demonstrated appropriate student responses, provided encouragement and written materials to support the teacher’s efforts. The goal of the programs was to improve three classroom participation components: communicating, choosing, and initiating. the collaborative consultation model was found to significantly improve students’ participation in all areas. the participation of the students in the in-service group only decreased. The researchers concluded that a multidisciplinary intervention program for students with Intellectual and Developmental Disabilities that combines in-service and collaborative consultation may help to improve classroom participation. Reference: Selanikyo, E., Yalon-Chamovitz, S., & Weintraub, N. (2017). Enhancing classroom participation of students with intellectual and developmental disabilities: Améliorer la participation en classe des élèves ayant des déficiences intellectuelles et des troubles envahissants du développement. Canadian Journal of Occupational Therapy, 84(2), 76-86. Interested in Providing More Collaborative Services? Are you interested in providing push-in and more consultation therapy services, but feel overwhelmed and don’t know where to start? 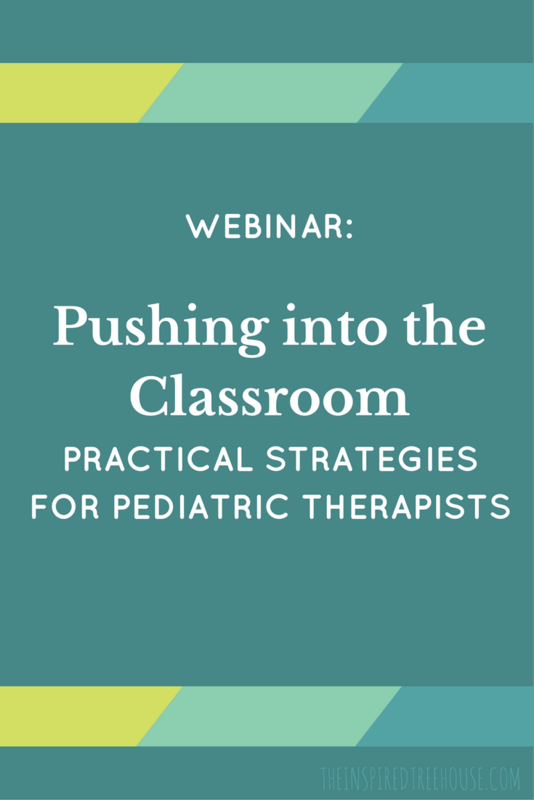 Claire Heffron and Lauren Drobnjak, practicing pediatric occupational and physical therapists, present this 4-hour prerecorded Pushing Into the Classroom: Practical Strategies for Pediatric Therapists webinar for school-based therapists. 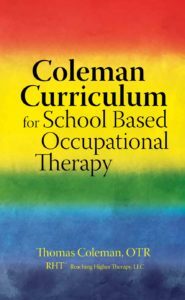 The Coleman Curriculum for School-Based Occupational Therapy by Thomas Coleman, OTR is a curriculum for occupational therapy in the schools from Kindergarten through Third Grade. Skills are discussed, examined and explained for everyone to understand.